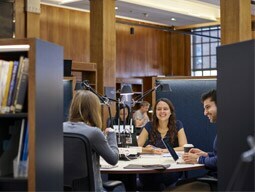 The Economics group at London Business School has particular strengths in academic research and in applying it to problems relevant to businesses and governments. Our faculty regularly advise a range of national and international government agencies and corporations, and publishes in leading international research journals. You will learn with and study alongside faculty who regularly advise national and international government agencies and corporations, and publishes in leading research journals. Our research is outstanding in its field. Our teaching goes hand-in-hand with conducting cutting-edge research that focuses on a range of Economics topics. The Economics Subject Area holds weekly seminars. For more information on speakers and topics, please see this year's schedule and a list of our past events. Before applying for a position at the School, please read the following information. London Business School hosts exciting, informative economics events, find out about forthcoming events. Be a part of the future of economics and see how far you can take your knowledge and expertise with our Economic PhD programme.